This is the day you've been dreaming of. You need someone who can take all of your ideas and seamlessly piece them together. With over twenty years of experience, our licensed coordinators can turn your dream wedding into a reality. Every season is wedding season at The Commons. Whether you picture an indoor or outdoor ceremony, The Commons has the perfect space for you. Our outdoor ceremony space features an intimate garden terrace with lush green grass, a brick walkway, and a large mahogany platform to exchange your vows upon. Tall maple trees and a flowing water feature create a heart-stirring ambiance and stunning backdrop for beautiful photos. Our indoor ceremony space maintains a neutral pallet and historical integrity with towering columns, crown molding, gold chiavari chairs and tall, bright windows that flaunt clear views of the charming town of Topsfield. Begin your reception with a cocktail hour that will build excitement for a thrilling celebration. If you choose to entertain your guests outside, create an enchanting atmosphere in our outdoor garden with subtle lights, illuminating the natural foliage of the surrounding maple trees. If you prefer to host an indoor cocktail hour, our newly renovated cocktail space boasts two fireplaces, Swarovski crystal chandeliers, and a dramatic neo-classical Rotunda. There are several opportunities surrounding The Commons to pose for breathtakingly romantic photos including our garden terrace, the town's common, the historic Gould Barn built in 1710, or the Parson Capen house built in 1683. 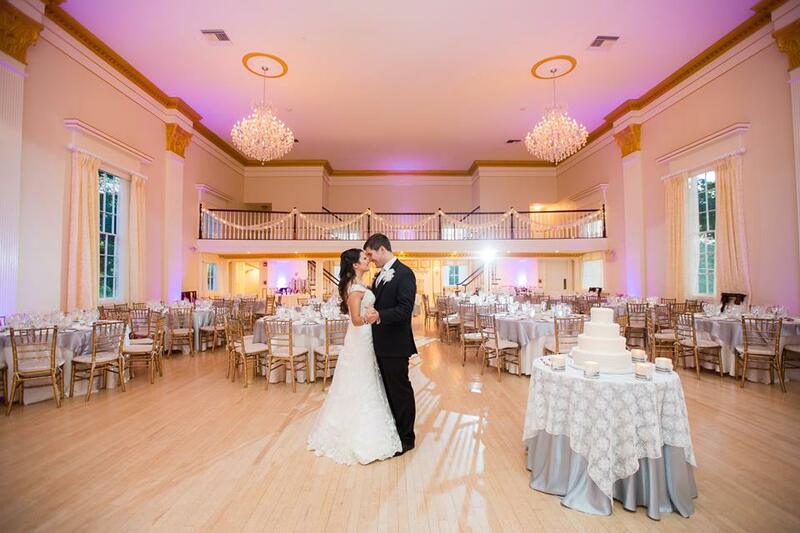 Enchant your guests with our dramatic ceilings, pristine maple flooring, and towering columns that are illuminated by Swarovski crystal chandeliers, extraordinary fireplaces and the natural moonlight sifting through our grand windows. Fill the Ballroom's mezzanine with lounge furniture to provide all the seating necessary to make your party comfortable while enjoying a refreshing beverage. Led by Executive Chef Frank Martino, our culinary team will create an award-winning meal to relish long after you leave the table. Our bridal consultants work cohesively with our chefs to create an exquisite menu that will compliment your taste buds with tantalizing hors d' oeuvres, refreshing beverages, scrumptious main courses and delectable desserts. Recognized for its superb service and outstanding cuisine, The Commons will give your guests the true VIP experience.